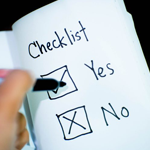 A CRM Evaluation Checklist: What Should You Look For? With the wide range of different CRM solutions on the market, it can be challenging to figure out exactly which one is right for your business. Should you pick the mainstream one that is most widely known? Or go with a smaller platform that might be more tailored to your specific business objectives? Have you ever wondered what factors you should focus on as you’re going through a CRM evaluation, and as you’re talking to different CRM vendors? What questions should you ask yourself and your team, and which points should you bring up in the discussion with vendors? 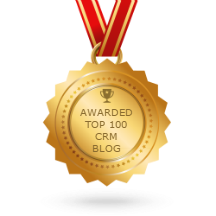 What features, functionalities, platform strengths, and security aspects are the most important to consider when evaluating different CRM systems, and what matters most for your business, industry and team? Going through a new (or replacement) system evaluation is never an easy or quick process. It takes time, due diligence and a lot of effort from your team’s side. However, it doesn’t all have to be a painful uphill battle. We created this useful evaluation checklist with more than 40 questions, separated by functional areas, that will help you define exactly what your organization needs, wants, and what capabilities different CRM solutions may offer. What built-in capabilities does this solution provide for sales acceleration? Does the solution auto-populate records and forms? Can it ensure that contact data is accurate? How does the solution drive sales productivity? Can it automate the delivery of information about companies and influencers in its dashboards? Does the solution come with functionality to automate prospect outreach and lead qualification? What capabilities does it include for lead nurturing? Does the solution deliver a comprehensive customer record to call center agents that includes data from the sales department? Does the solution automate call and email routing to support prioritization and reduce wait times? Does the solution automate workflows? Does the automation support the entire customer journey, from acquisition to advocacy? Does the solution offer automated call logging? What skills do we need to customize workflows? How does this solution integrate with applications and data sources? What integration capabilities are built-in? Is the default user interface consumer-grade? What work is involved in customizing an interface? How consistent are the desktop and mobile interfaces? Does the solution include offline mobile capabilities? Will the solution help us to accelerate call preparation time by providing associates with all the customer contact and social network information they need with just a name and an email? Will the solution enable us to spend less time on research and maintenance so that we can spend more time getting to know our customers? How is the platform optimized for extensibility and customization? Does the solution provide access to the full source code? Is the code base consistent across all modules? Is the solution written in a proprietary language? What expertise and tools will we need to customize the solution? What are the options for hosting the application? Can we choose where our data is stored? Is there any charge for using local storage or a public cloud? Is there a charge if we choose to relocate our data? Do we have control of our own application version? Do we schedule our own updates, or does the vendor set the migration schedule? Can this solution meet our data security and privacy requirements? Does this solution enable us to meet our regulatory and compliance requirements? Does this solution provide the governance tools we need? What are the pricing models and levels? Are there any up-charges, additional product charges, server license charges, or maintenance charges? What other charges and fees might we incur over the lifetime of this solution? Are there charges for usage above preset limits and for storage of files? Are there charges for integrating applications and data sources? Are there limits on API calls? What type of customer support is included with the solution? Do they offer extended, phone-based technical support packages? Do they provide a knowledge base, case portal, or other online resources? How broad/deep is their ecosystem? Are they part of a wider network of deployment partners? Do they offer packaged connectors to critical features? While no system evaluation is exactly the same, you can adjust some of these questions to fit your specific industry, company goals or KPIs. Having a clearly defined plan is always the first step in achieving and realizing the goals that you set for yourself. Use this list of questions as a guided tool in your evaluation of the multitude of different CRM solutions and vendors, and your CRM selection process will feel a lot easier to tackle. Remember – in the end, doing your due diligence will pay off and get you the right solution that will help your organization thrive – rather than getting stuck with a mainstream, “out-of-the-box” solution that doesn’t fit your business needs.